This should not surprise anyone: cortisol is known for literally destroying neurons and high levels have been linked with shrinkage of several parts of the brain, including the all-important hippocampus. If cortisol can literally kill brain cells, is it any wonder that it can lower serotonin? CAUTION: Nutritional deficits (and lack of exercise) have often been linked with depression and other psychological issues. The brain is a giant nutrient hog and requires a constant supply of base raw materials along with anti-inflammatories and antioxidants in order to properly function. There is also evidence that an overabundance of certain minerals (copper, zinc and iron) and toxins (pesticides, mercury, lead, etc.) can wreak havoc with neurons. For more information, see my links on Depression Cures and Brain Health Links. 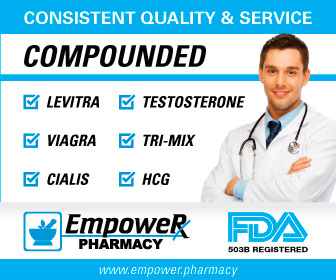 I find that many men on the Peak Testosterone Forum have been put on a variety of SSRI's and antidepressants by their doctor. Rarely are any cortisol-lowering strategies included and this simply makes no sense. Think of this: Cushing's Disease, which results in clinically elevated levels of cortisol, has depression as an extremely common side effect. In fact, one study stated that "major depression is the most common comorbid disorder. Other psychopathological aspects of Cushing's syndrome in adults include mania, anxiety disorders and cognitive dysfunction." I cannot tell you the number of guys on the Forum - and I've been there myself - that have significant depression and anxiety and yet it has never crossed their mind - or their doctor's! - to check cortisol levels. 1. (Soy or Plant-Based) Phosphatidylserine . Phosphatidylserine (S-PS) is very commonly prescribed by alternative practitioners to lower the elevated cortisol levels see in cases of adrenal fatigue and other HPA dysfunctions. And, not too surprisingly, it has been found in the research to help depression in seniors. It also helped with a number of cognitive parameters as well! 2. Mindfulness Meditation. The most recent meta-analysis shows convincingly that mindfulnesss meditation does indeed help with depression, mood and anxiety. This is particularly impressive because a meta-analysis will study many studies. This list could undoubtedly go on, but I think you get the idea: if you lower stress and cortisol, you are very likely to help with depression. So think of the irony for most guys with depression: stress boosts their cortisol and then cortisol lowers their serotonin. Physicians, not knowing any better usually, give their patients SSRI's to boost their serotonin, even though the underlying cortisol issue still remains. No wonder studies of SSRI efficacy have shown them to be little better than placebo for most depressed individuals. It is like putting two guys in a boat and telling one of them to row forward and the other backwards. Who knows which guy is going to win? JAMA, the heavy weight journal of the AMA, did a meta-analysis and was willing to clearly state that "the magnitude of benefit of antidepressant medication compared with placebo increases with severity of depression symptoms and may be minimal or nonexistent, on average, in patients with mild or moderate symptoms." You know it's gotta be bad when the AMA is willing to state that a medication is not helping the great majority of patients. CAUTION #1: Do NOT stop any medication without talking to your doctor first. The above study was also clear in saying that patients with severe depression experienced significant benefit from SSRI's. Depression is very serious and you need to battle it with every tool in your arsenal. Going off of SSRI's or even switching SSRI's, in particular, is something to be done under a physician's supervision. CAUTION #2: Remember that low testosterone makes a man susceptible to depression. Furthermore, HRT can often significantly improve depression. (It did with me: I had decades of mild depresion, or dysthmia as it is called prior to going on testosterone cypionate.) See my links on Testosterone and Depression and Testosteorne and the Brain for more information. So it's probably hard to predict exactly at what time of day the cortisol will be elevated and so a three or four-point cortisol exam would probably be prudent. See my link on Adrenal Fatigue Testing for some discussion of this common technique. The bottom line is that it is very often going to be foolish to ignore cortisol when dealing with depression. For additional information, please see my summary pages on Stress Management and Cortisol and Depression and Anxiety. 1) The British Journal of Psychiatry, 1994, 164:365-371, "Glucocorticoids and the genesis of depressive illness. A psychobiological model." 2) The British Journal of Psychiatry, 2002, 180:99-100, "Cortisol, serotonin and depression: all stressed out?" 3) http://pop.lipogen.us/articles/CTMEM01.pdf , "EFFECT OF SOY LECITHIN PHOSPHATIDYLSERINE (PS) COMPLEX ON MEMORY IMPAIRMENT AND MOOD IN THE FUNCTIONING ELDERLY"
4) Journal of Consulting and Clinical Psychology, Apr 2010, 78(2):169-183, "The effect of mindfulness-based therapy on anxiety and depression: A meta-analytic review"
5) JCO June 1991 vol. 9 no. 6 1004-1011, "A randomized clinical trial of alprazolam versus progressive muscle relaxation in cancer patients with anxiety and depressive symptoms"
6) Psychother Psychosom, 2008, 77:119 125 , "Effects of Progressive Muscle Relaxation Training on Anxiety and Depression in Patients Enrolled in an Outpatient Pulmonary Rehabilitation Program"
7) Journal of Affective Disorders, Dec 2005, 89(1-3):13 24, "Yoga for depression: The research evidence"
8) Applied Psychophysiology and Biofeedback, Mar 2002, 27(1):45-98, "Autogenic Training: A Meta-Analysis of Clinical Outcome Studies"
9) Eur Psychologist, 1999, 4(1), "Long-Term Evaluation of the Effectiveness of Additional Autogenic Training in the Psychotherapy of Depressive Disorders"
10) JAMA. 2010;303(1):47-53, "Antidepressant Drug Effects and Depression Severity A Patient-Level Meta-analysis"
11) Biological Psychiatry, July 1991, 30(1):25-36, "24-Hour cortisol measures in adolescents with major depression: A controlled study"
12) Psychopharmacology, Oct 2005, 182(1):54-57, "Increased salivary cortisol after waking in depression"
13) Psychological Medicine, Feb 1976, 6(1):43-50, "Urinary free Cortisol excretion in depression"